Google has increased its user controls by allowing people to mute ads in more places. While Google's “Mute This Ad” was first introduced in 2012, giving people options to remove unwanted ads from specific advertisers on Google Search, Maps, YouTube and Gmail, when signed in to a Google Account, it has now been updated “in two important ways”. The updates mean the tool will now recognise feedback on any device signed in to on a Google Account, meaning if you mute an ad for on your smartphone, it will also be muted on your laptop. 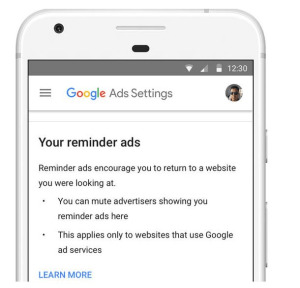 In addition, 'Mute This Ad' will begin appearing in more places as Google expands control to work across more apps and websites that partner with Google to show ads. The move follows an increase in web users signing up to adblocking software after growing tired of being pestered with irksome online ads, particularly when the content is deemed unsuitable or irrelevant. According to PageFair's 2017 adblock report, 11% of the global internet population is blocking ads on the web and adblock usage grew 30% globally in 2016. It also found that adblock users prefer standard display ads and that 615 million devices now use adblock. Ads served by other organisations such as Facebook will not be impacted by the new Google moves. “The momentum we’ve seen with this tool is really encouraging,” Google's group product manager of data privacy and transparency, Jon Krafcik,says in a blog post. It says millions of people use Mute this Ad on a daily basis, and in 2017 it received more than five billion pieces of feedback telling it that people muted ads that aren’t relevant. “We incorporated that feedback by removing one million ads from our ad network based on your comments,” Krafcik says. Speaking to AdNews, country manager ANZ for marketing software business Dataxu, Matthew Joyce, says any actions taken by the industry to provide further control and choice for consumers is to be applauded. 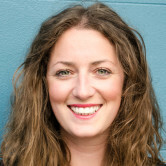 "However, with the right technology that caps frequency and ensures a value-driven consumer experience, there really isn’t a need for ad muting." He says the past year has shown that walled gardens such as Google and Facebook have not always put the consumer or advertisers first. "So quite frankly, it’s a shame it has come to this".